After dominating the UK Games Chart for six weeks in a row since launch, Naughty Dog’s PS3 exclusive, The Last of Us, has finally dropped down the chart to third place. The Last of Us has dropped down to third place this week, making way for Minecraft on the Xbox 360 and Pikmin 3 on the Wii U, which are now in first and second place, respectively. 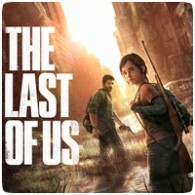 The Last Of Us – Sony Computer Ent.